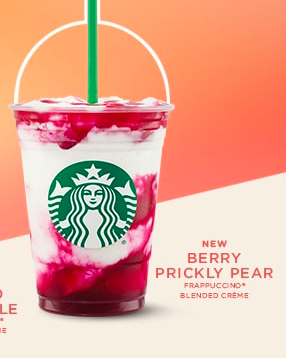 Berry Prickly Pear Frappuccino Blended Crème was launched today, June 20, 2017 along with Mango Pineapple Frappuccino. Prickly pear is a fruit of Opuntia, a type of cactus. 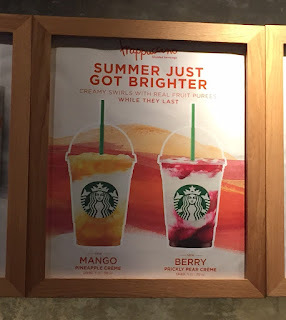 Advertisement in the cafe I went to. 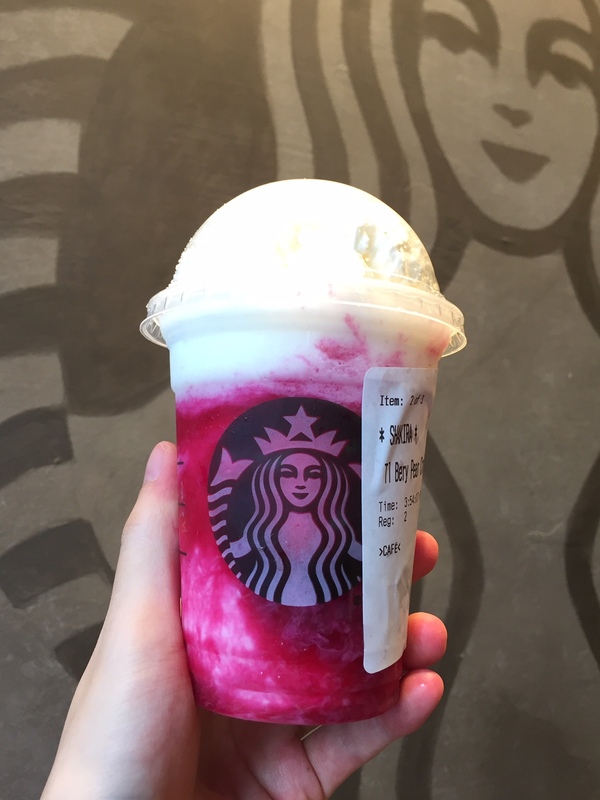 "It's a whole lot of fruity fun in one Frappuccino. 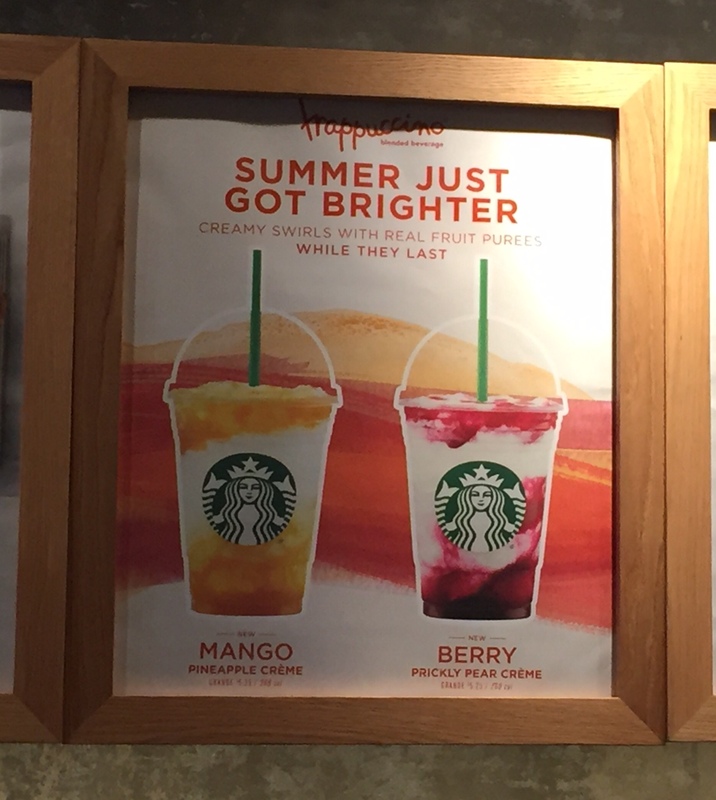 Mango syrup is blended with Frappuccino Blended Crème base, milk and ice, then poured over a purée of berries and prickly pear, and topped with more purée." 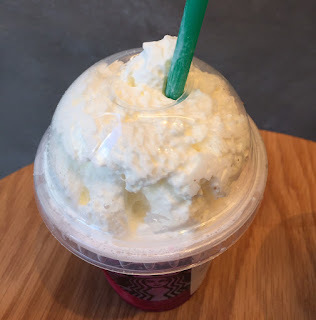 Same as Mango Pineapple, this Frappuccino didn't have layers of creme base and puree but rather it's filled with puree unlike the image shown. 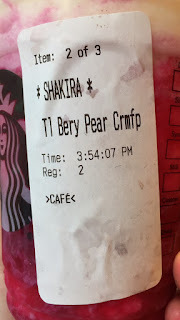 I wish I could receive picture-perfect product. A heap of whipped cream on the top. And I was "SHAKIRA" today. It's very sweet but at the same time, it's somehow refreshing and I think it's because of berry, which had subtle sourness. 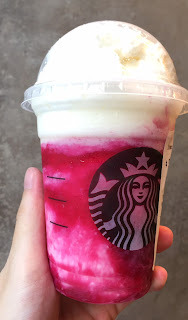 When it's mixed with the creme base and whipped cream, the sweetness became milder and tasted like a shortcake with berry sauce and filling. First it's vivid pink but it became creamy pink and prettier.